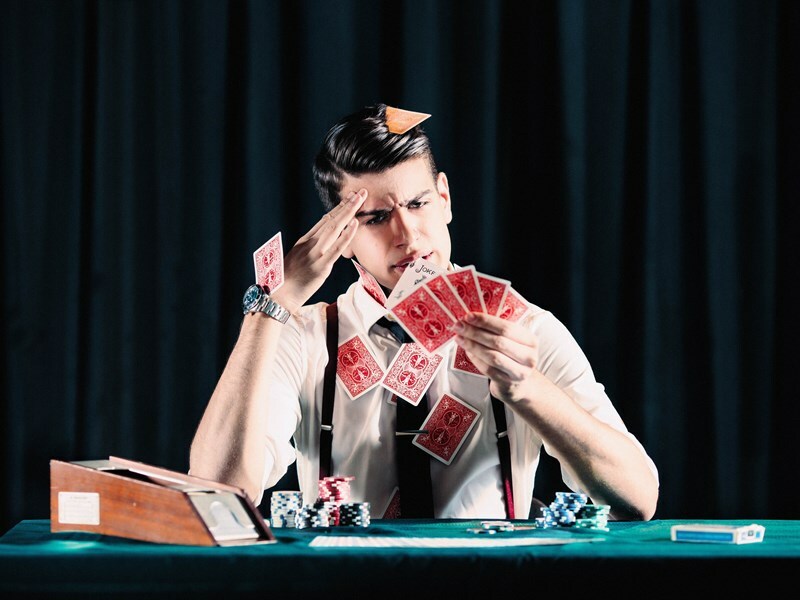 Mark is an internationally acclaimed magician, comedian, and WORLD RECORD HOLDER, selling out audiences around the world with his hilarious, one of a kind, magic infused comedy show. He's performed all over the world (Canada, The United States, France, Singapore, The Middle East, China, and on BROADWAY!) in the past 10 months alone! He's performed for Google, TEDx, DECA, The Waterfront Festival. He has over 50 million views on Facebook and Youtube. Mark Correia is a world renowned comedian, magician, and world record holder with over seventeen years of experience. After specializing in comedy and drama at the prestigious National Theatre School of Canada he began making a name for himself across the globe. Mark has performed all over Canada and the United States as well as internationally, going as far as Qatar, France, Singapore, and China. He has headlined the illustrious comedy club "Caroline's on Broadway" in the heart of New York City's Times Square, as well as frequenting other off-broadway theatres as comedian and magician. He has been nominated for a “Best Magician Award” from A1 Radio for his work. He also makes regular appearances on television through his magic, and has been featured on every major Canadian broadcasting network. In 2018, Mark produced and starred in a three sketch series for CBC Comedy, making him one of the top names in the Toronto comedy scene. He has gained over half a million views on YouTube and over fifty million views on Facebook. Mark is also the brains and talent behind Escaping Parkinson’s—a stunt supported by The Michael J. Fox Foundation for Parkinson’s Research, and Michael J. Fox himself—raising over $15,000 in just fourteen days. For two weeks Mark lived strapped inside a straitjacket without breaks. On the fourteenth day he escaped on live television. He garnered international attention with this stunt, and set a world record for “Longest Amount of Time Wearing a Straitjacket”. The story of Escaping Parkinson's was then been presented as a TEDx talk delivered by Mark. It is the first TED talk to be delivered in a straitjacket.